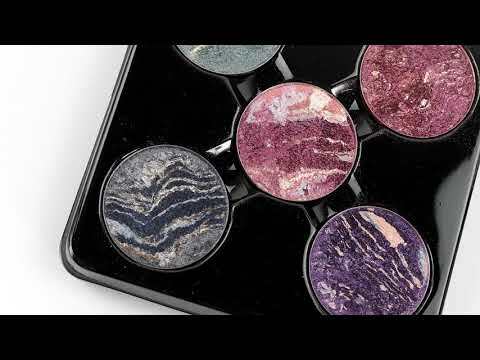 Revolution Pro Refill Eyeshadow Pack Cosmic Crackle zijn mega gepigmenteerde oogschaduw tinten. De unieke crème formule zorgt ervoor dat deze prachtige gemarmerde oogschaduwtinten moeiteloos over je ooglid glijden! De adembenemende tinten van het Revolution Pro Refill Eyeshadow Pack zijn moeiteloos te blenden en ideaal voor het maken van jouw eigen unieke look! Spaceship: Mica, Synthetic Fluorphlogopite, Magnesium Aluminum Silicate, Nylon-12, Paraffinum Liquidum/mineral Oil/huile Minerale, Ethylhexyl Palmitate, Polybutene, Phenoxyethanol, Dimethicone, Methylparaben, [+/- Titanium Dioxide (Ci 77891), Iron Oxides (Ci 77491, 77499)]. Illusion: Mica, Magnesium Aluminum Silicate, Nylon-12, Paraffinum Liquidum/mineral Oil/huile Minerale, Ethylhexyl Palmitate, Polybutene, Pjenoxyethanol, Dimethicone, Methylparaben, [+/- Titanium Dioxide (Ci 77891), Iron Oxide (Ci 77491), Ferric Ferrocyanide (Ci 77510)]. Astranova: Mica, Magnesium Aluminum Silicate, Nylon-12, Paraffinum Liquidum/mineral Oil/huile Minerale, Ethylhexyl Palmitate, Polybutene, Dimethicone, Phenoxyethanol, Methylparaben, [+/- Titanium Dioxide (Ci 7789), Iron Oxides (Ci 77491, 77499), Ferric Ferrocyanide (Ci 77510)]. 626: Mica, Synthetic Fluorphlogopite, Magnesium Aluminum Silicate, Nylon-12, Paraffinum Liquidum/mineral Oil/huile Minerale, Ethylhexyl Palmitate, Polybutene, Phenoxyethanol, Dimethicone, Methylparaben, [+/- Titanium Dioxide (Ci 77891), Iron Oxide (Ci 77491), Ferric Ferrocyanide (Ci 77510)]. Nightfall: Mica, Synthetic Fluorphlogopite, Magnesium Aluminum Silicate, Nylon-12, Paraffinum Liquidum/mineral Oil/huile Minerale, Ethylhexyl Palmitate, Polybutene, Phenoxyethanol, Dimethicone, Methylparaben, [+/- Titanium Dioxide (Ci 77891), Iron Oxides (Ci 77491, 77499), Ferric Ferrocyanide (Ci 77510)].